Fluffo. The true story - FLUFFO. Soft Wall Panels. „Produce” was the key word. Selling alone would not be enough. We wanted to produce, create and develop the product, which would give us the flexibility and quality control. The work on the implementation of our first collection of panels, mastering the technologyprocesses and the creation of Fluffo marketing took us almost 1,5 years. When we now look back on those old times; on the garage where it all begun andsee theFluffo of today – we are proud to say that we created something exceptional. 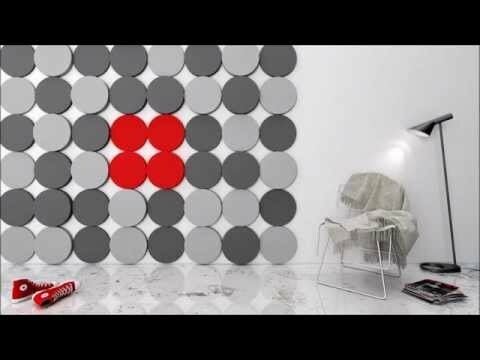 Every time we see the smiling face of our customer cuddling up to his new wall, or we answer a call from an „Anna”, who wants to have the same panels as her friend does, we know that Fluffo is more than a simple wall decoration. This is how Fluffo, Soft Wall Factory was created. From the phrase „… what if ….” to the emotions stirred by our panels. Enjoy the show. Turn the sound on.